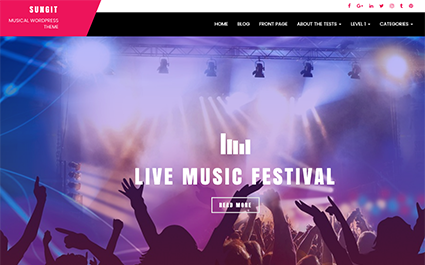 Sungit Lite is a clean, trendy and fully responsive WordPress theme created especially for Musicians, Bands, Artists, Concerts, Events or any kind of music websites or Blogs. Sungit Lite allows you to fully customize your website without having to work with the code. Sungit Lite comes with various interesting and powerful features to make a user-friendly, interactive and visually stunning website. It includes features like Custom Menu, Social Media Options, customizable Mid Section, customizable Banner Slider, Customizable Footer sections, multiple page layouts, Blog Layout, Logo color settings, footer settings, Custom CSS. It has 3 footer widgets, a default sidebar widget and tested rigorously, translation ready, highly optimized for better performance. We would like to thank you for choosing Sungit Lite, responsive WordPress theme for your website. Before you get started, please be sure to always check out the documentation. Sungit Lite can only be used with WordPress and we assume that you already have WordPress installed and ready to go. There are times when you want to do a lot more with a theme/plugin and that might require making changes to the code or design. We can help you in getting those done. 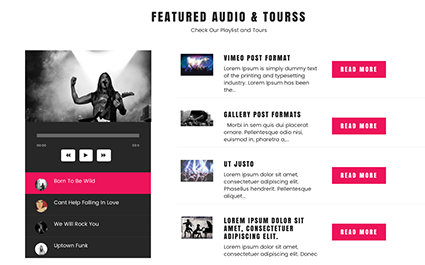 Sungit Lite is the best free wordpress theme for musicians and music. 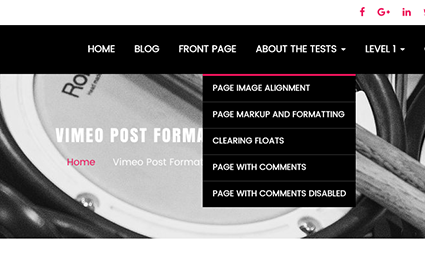 Definitely the easiest when it comes to free wordpress themes for musicians. Manage playlists, share videos, events and more all from your theme. With customizer make changes to the site and see the changes as they happen. This free music theme lets you showcase your music, videos and even sell merchandise without any added cost. We do have a premium version though should you need more out of the theme. We have been constantly listed as one of the best free theme for musicians, by Colorlib, ThemeGrill, and many more.